My husband and I decided to start celebrating the Advent few years ago. It was certainly not an easy decision; we really wanted to do it, but living in a Catholic country where these kind of traditions have always been associated by Evangelicals with paganism and idolatry was not easy. We prayed, we marked the calendar, and our family was blessed indeed! 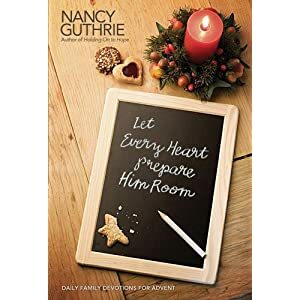 Today, as the time approaches I want to suggest to you several resources that have been a blessing in our home as we wait, as we sit around the Family Table and read about His glorious coming. Come, Thou Long-Expected Jesus: Experiencing the Peace and Promise of Christmas. Another book I found that looks great is this, The Christ of Christmas; have you read it? Great Music to Celebrate the Incarnation. More Christmas music can be found here. Do you have any other books, sermons, or music you would like to suggest us for this season? Today I am grateful because we can treasure God in our traditions! Remember that we will be celebrating the Incarnation of our Lord at Daily On My Way to Heaven, you are invited to join us! 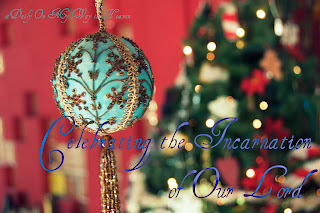 Link to your blog post every Wednesday on December; tell us how do you keep a Jesus centered Christmas.